Previously The New Inn Pub we are now a Guest House renamed Thirtyfive B&B. Centrally located on Portland close to coastal paths and beautiful pebble coves. Just a short drive from Weymouth town centre. 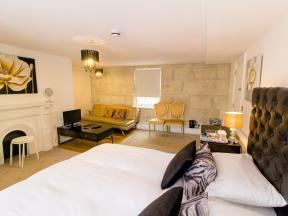 The Beach House bed and breakfast Portland Dorset backs onto Chesil Beach which stretches 18 miles as far as West Bay. Chesil Beach offers amazing sunsets for photography enthusiasts. Weymouth Sands is the ideal bed and breakfast accommodation, situated just a short walk from Weymouth's Beach, town centre, theatre, harbour & the Condor ferry terminal for Channel Isles and France. The Seacrest is a bed and breakfast Georgian fronted building a stones throw from both Weymouth beach and Weymouth Harbour and is ideally situated close to all local amenities.